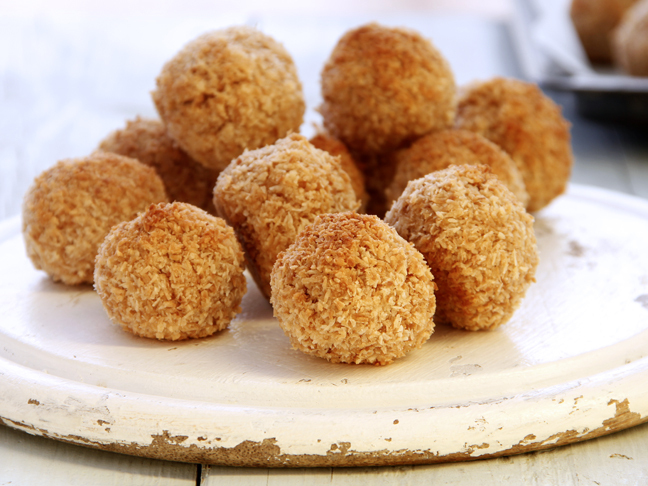 Time to check those boxes of mac ‘n’ cheese in your pantry. Kraft Foods is recalling 242,000 cases of Kraft Macaroni and Cheese because some of the boxes may contain metal, according to a statement released by the company on March 17. More than 6.5 million boxes were packed in those recalled cases. This recall covers the 7.25-ounce boxes that were sold both individually and in packs of three, four, or five. The company said that they are aware of eight incidents of consumers finding metal in the boxes, but have not been informed of any resulting injuries. 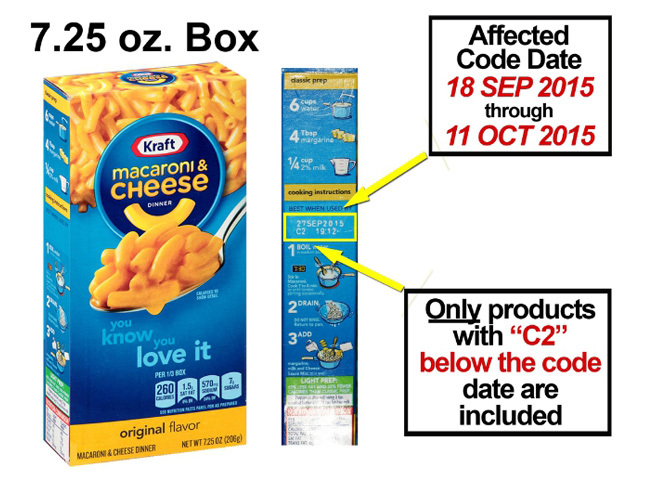 Kraft officials are urging consumers not to eat the product and to return the macaroni to the store where it was purchased for an exchange or a full refund. The recalled product is packaged in boxes with “best when used by” dates ranging from September 18, 2015, through October 11, 2015. Boxes are marked with the code C2 directly below the printed date on each individual box. The “C2” code refers to a specific production line on which the affected product was made. These boxes were sold throughout the United States, Puerto Rico, and in some parts of the Caribbean and South America. Shipments to Canada were not affected. Besides returning the product to the store where purchased for exchange or refund, consumers can also contact Kraft Foods Consumer Relations at 1-800-816-9432 between the hours of 9am and 6pm EST for further information or to get their refund.